Airtel has launched ZTE MF29 (MF29T) ADSL router in India, which can be unlocked by correct NCK code. Airtel MF29 router comes with uncustomized firmware and unlocking is possible using a correct unlock code. Since it comes locked to a particular network, means you can not use with any another provider without unlocking. For Indian customers unlock code charge is Rs. 400 for ZTE. Indian customers can pay through payumoney. Further, Airtel MW40CJ, Idea MW40CJ, Vodafone MW40CJ and Vodafone R217 are supported at present. 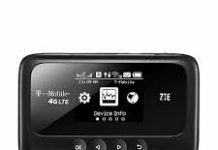 How to Unlock Airtel ZTE MF29 (MF29T) ADSL Router? 1. Disconnect the device from PC. 2. Change the default network SIM card with any other. 3. Connect to PC using WiFi / LAN cable. 7. Enter the NCK code which is provided by routerunlock.com and click OK.
8. Now your MF29T gateway is permanently unlocked. You are free to choose any carrier SIM card from now onwards. Note: Airtel ZTE MF29T unlock code is not free. You need to pay Rs. 400 through payumoney. Once paid, correct factory unlock code will be emailed. Previous articleHow to Unlock Airtel & Idea MF920V ZTE Router? Next articleHow to Unlock ZTE Blade A531 by code?